I am presenting my first face-to-face workshop next week on Twitter and LinkedIn basics for business. While I have done public speaking in Canada and Australia, including live interviews, radio spots and more recently, presenting and facilitating webinars online, this will be a new challenge for me. It helps that I have been using both channels for five years personally and professionally, but it’s still normal to get the public speaking jitters right? 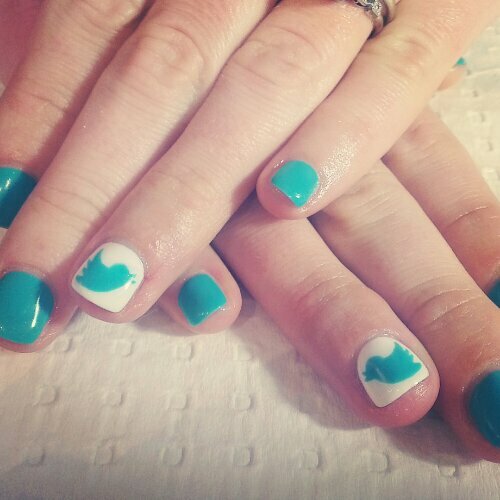 Last night as I was getting my ‘social media nails’ done for next week’s conference, I had a great chat with my nail artist. – one I have known for a while…smile! I remember trialling Twitter before signing my art school up for an account in 2009. The main benefit I won my Executive Director over with at the time was the fact it was free. Who knew that when I arrived in Australia over three years ago tweeting about our adventures that I would be presenting on it in front of a room of people eager to learn all about hashtags and RTs? Wish me luck! Watch this social media clip to get inspired, I was astounded by a few of the facts and how quickly times are a changing.